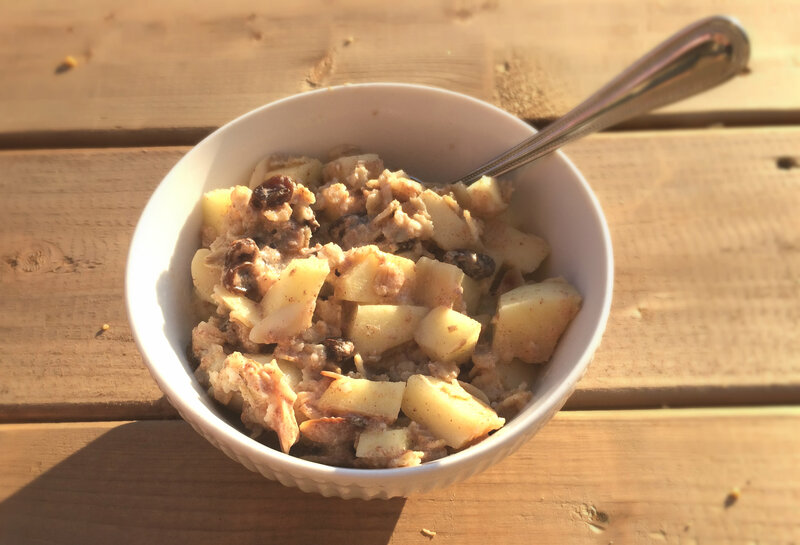 Toasted almond apple oatmeal is probably one of my favourite meals, and something I eat a lot. 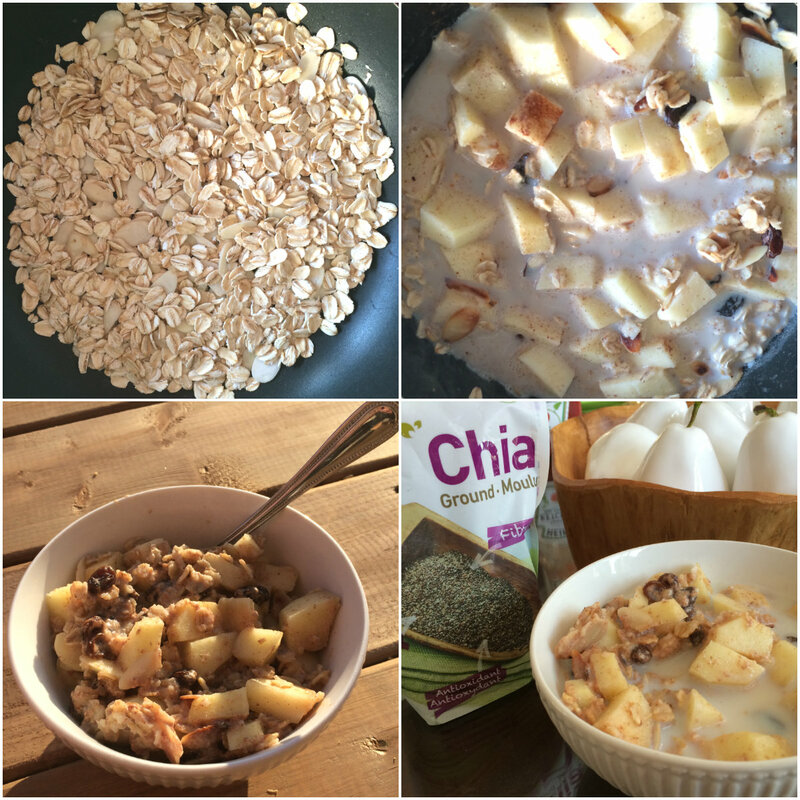 Not only is this cozy breakfast delicious, it is ridiculously healthy. I shared this recipe a little while ago within one of my blog posts. Since then I have received numerous emails and messages from people about how much they love it! I thought it was time to give this recipe the proper love it deserves. This is a recipe I discovered years ago in a fitness magazine article. I have altered it a little and omitted the sugar. I eat this almost everyday. It is fast, easy, delicious and filling. I also find that whenever I take the time to make this each day, I tend to loose weight and stick to a healthier lifestyle. Mike loves it when I double the recipe on the weekends so he can have some too! 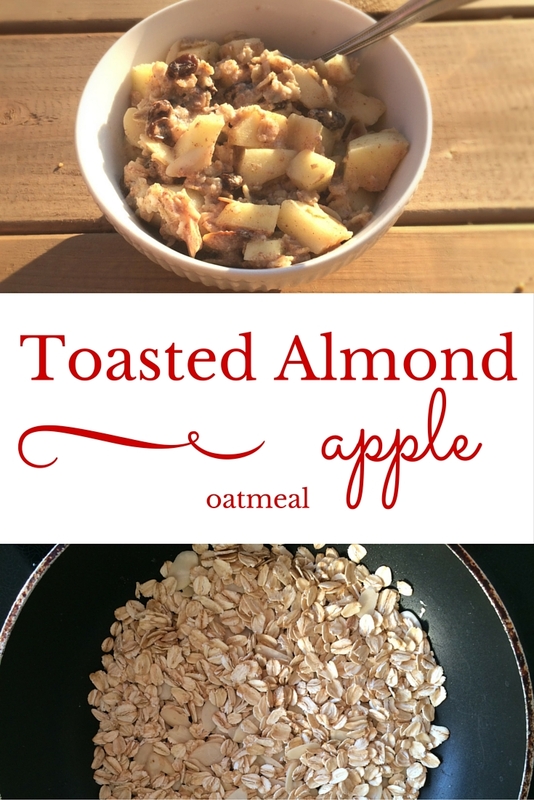 To prepare: toast almonds on a greased skillet (MED heat) until you can smell a nutty aroma, add the oats, toast for one more minute. Reduce the heat to LOW and add skim milk followed by remaining ingredients. Cover and cook for five minutes. Remove from heat, stir, cover and let sit for three minute. Add cold milk to cool if desired and enjoy!